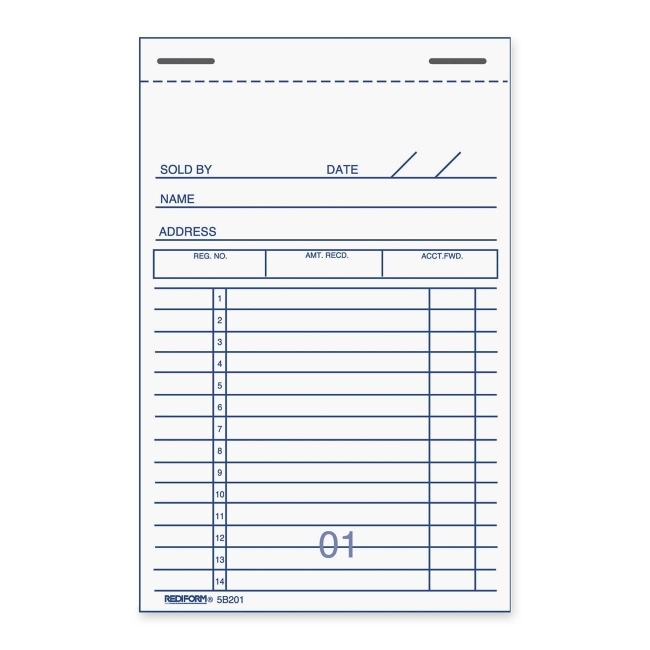 Manifold book contains economy sales forms designed for the small business user. Each form features a wraparound cover and carbonized back. 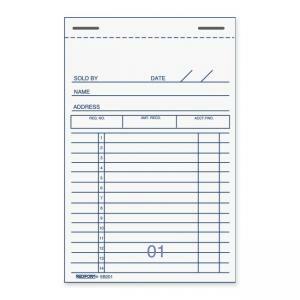 Each form is numbered and has ruled spaces for sellers name, date, buyer, buyers address and list of 14 numbered items.